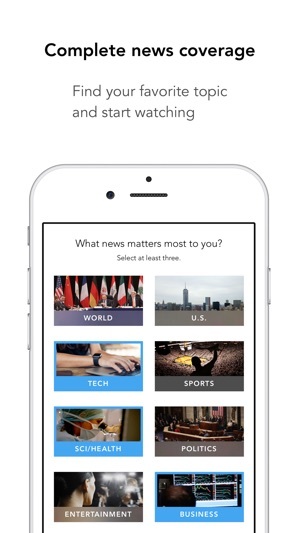 Get honest, in-depth context on stories that matter with Newsy. 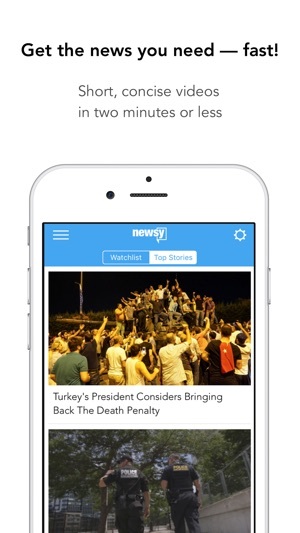 For people who aren’t satisfied with only getting the loudest part of the story, Newsy delivers more — more context, more solutions and a greater understanding of the people and events that shape our world. Excellent app to use for quick snaps of information and customizable to the user’s interests. No ads, that is a huge plus side to the news world, as I feel like I can trust the content is is geared to inform the consumer of both arguments, as well as provide the information needed to give the user an educated thought, while provoking the thought of finding out more. The only reason for rating it four stars is the push notification functionality. I fine on my iPhone 8, that when I push to open it plays the same video twice at the same time with an echo. I’m watching the one, while there is another open and playing, causing an echo. That leads me to close the the app and search for the story, which can be time consuming. Otherwise, it’s an excellent way to be informed and super easy to use! 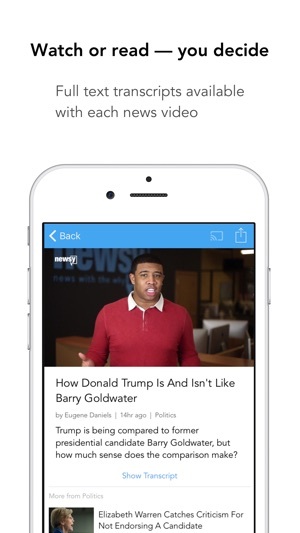 It’s sad to see all the reviews from the lemmings claiming Newsy as neutral or balanced. I will admit, they are smart to present the news in a very plain, no frills manner. It gives the impression that it is pure, unbiased news. But it only takes a few days of consuming their news to realize they are very much left if center. It shows how the media in general has made most of the population unaware of other points of view. People will just accept anything coming from organizations like Newsy that claim to fact check all their news. It is sad that the general population cannot even see obvious bias when it is fed to them 24 hours a day. I’ve been using this app for a couple of years and I really enjoyed it since I can get the different types of news conveniently. Over the course of time, I’ve noticed a liberal slant based on the types of news being reported which I didn’t initially mind. However, recently there is a huge liberal slant in the reported news and it gets to a point where I just close app and think of deleting it. I just want no spin news. If they want to be fair then cover both sides not just one. I turned off all news relating to politics and see if that helps. If not then I’m deleting it. Requires iOS 10.3 or later. Compatible with iPhone, iPad, and iPod touch. Apple TV.